Even if a family is financially secure, an illness can bring with it financial ruin. It doesn’t necessarily come from Doctor’s appointments and hospital stays, however. 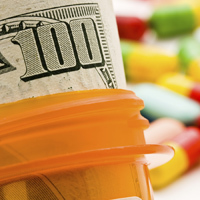 Many times, the bulk of the financial burden comes from the high cost of prescription drugs. Of note is the Hepatitis C drug Sovaldi; costing $1000 per pill, and the cystic fibrosis drug Kalideco with a $300,000 a year price tag. Why such astronomical prices? That’s just what several state legislatures, as well as the United States Senate Financial Committee is trying to find out. In the last year, six state legislatures have introduced bills intended to force pharmaceutical companies to justify the reasons behind these types of prices; California, Massachusetts, New York, North Carolina, Oregon and Pennsylvania. The Financial Committee has launched an investigation into the high cost of the Hepatitis C drug Sovaldi, led by Charles E. Grassley(R) of Iowa and Ron Wyden(D) of Oregon. The pharmaceutical industry has long held that the reasons behind high drug prices are costs for research and development. Doctors at the Mayo Clinic are asking, however, if the costs are truly due to past R&D, current R&D, or simply based on what the market is willing to pay. Is the level of greed in the pharmaceutical industry increasing? The New York Times published a comprehensive article on the situation, and what is happening to shed light on prices in July. Take a look at Drug Prices Soar, Prompting Calls for Justification. If you feel strongly enough, contact your State and Federal lawmakers and let them know how you feel about the high cost of prescription drugs.